The first UK conference dedicated to Thermal Comfort was the event at the Building Research Establishment (BRE) in 1972 [i] when Fergus Nicol and Michael Humphreys [ii] showed for the first time their graph demonstrating to a surprised audience the huge range of temperatures found comfortable in different climates and suggested that thermal comfort was part of a feed-back system which helped maintain thermal balance with the environment. Humphreys went on propose the causal link between outdoor temperatures and indoor comfort [iii] which formed the basis for comfort standards in the future. Thus this conference marked a beginning of what has become known as adaptive thermal comfort. Twenty or so years later in June 1993 Nigel Oseland and Gary Raw of BRE hosted a conference on ‘Thermal comfort: past, present and future’ [iv]. There was huge interest in the rather neglected subject and a number of interesting papers were submitted and published in the proceedings of the event, but few of them were on the subject of adaptive thermal comfort, a notable exception being the paper by Richard de Dear which used ASHRAE-sponsored research to show how laboratory-based comfort models were unreliable in naturally ventilated buildings. The up-welling of interest in field studies and regional comfort issues suggested the need for an international conference specifically to encourage the development of adaptive thermal comfort, particularly with regard to its implementation in national and international thermal comfort codes and standards. The Thermal Comfort Unit at Oxford Brookes University led by Sue Roaf and Fergus Nicol booked the Cumberland Lodge Conference Centre in Windsor Great Park for a three day event at the end of August 1994. The conference centre is residential, so the participants can meet one another socially and talk together about ideas and explain their research informally and at length. This format and this venue with its luxurious house and its beautiful surroundings has been vital to the forging of ideas and the forming of friendships and this has helped to foster the new approaches to the growing challenges of providing comfort in a rapidly changing world. This 1st Windsor Conference in 1994 on ‘Standards for thermal comfort’ was a wonderful occasion, notable for the diversity of cultures and climates represented. There were architects, engineers and researchers present approaching the subject from their many different angles. It was a forum where the regional voice emerged clearly telling of very different comfort environments. Several speakers focused on the needs, desires and behaviour of the occupants of buildings rather than on the technicalities of heating and cooling systems [v]. The 2nd Windsor conference was not held until 2001 and was called Thermal comfort standards for the twenty-first century. The conference helped by expert input from Kate McCartney of Oxford Brookes University and attracted delegates from all branches of the thermal comfort world including Ole Fanger and Bjarne Olesen from the Danish Technical University. Selected papers were developed as a special issue of Energy and Buildings Journal (Volume 34 (6) 2002) which was jointly edited by Fergus Nicol of Oxford Brookes University and Ken Parsons of Loughborough University. This special issue had become an important resource for researchers and students and represents the emergence of the adaptive approach to the academic scene. There was particular interest in the work of Gail Brager and Richard de Dear in developing a meta-analysis of data from all over the world to shape new, and develop the thinking behind, the new adaptive standard in ASHRAE Standard 55-2004. The 3rd Windsor conference in 2004 was organised by Sue Roaf and focussed on the developing discipline of Post Occupancy Evaluation of Buildings (sometimes referred to as Building Performance Evaluation) which is the process of evaluating buildings in a systematic and rigorous manner after they have been built and occupied for some time. Inherent in this evaluation is the need to interrogate building inhabitants on their response to such things as whether the building provides conditions which are comfortable so the link to thermal comfort – and in particular adaptive comfort with its link to the way the building works – are clear. A special Issue of Building Research and Information (BRI) called Building Performance Evaluation was produced (Volume 33(4), 2005), edited by Fergus Nicol and Sue Roaf. This issue included important papers by Bill Bordass and Adrian Leaman and contained other articles based on leading papers from the conference. There were many stars of POE at this conference including Wolfgang Preiser of Cincinnati, Jacqueline Vischer of Montreal, and George Baird from New Zealand who have all written excellent books on the subject. In 2004 the Low Energy Architecture Research Unit (LEARN) at London Metropolitan University obtained a Network Grant from the EPSRC to fund the formation of the Network for Comfort and Energy Use in Buildings (NCEUB). The aim was to form a Network, initially within the UK but aiming for the Network to become international. The grant enabled the Network to employ a part-time organiser for three years to organise conferences and meetings and to form a web site for the Network. The network started out with about 300 members, about one third of them from outside the UK and about two thirds of them from an academic background. Since then the membership has grown to over 500. The Network website makes available the papers from past Windsor conferences in down-loadable pdf format. 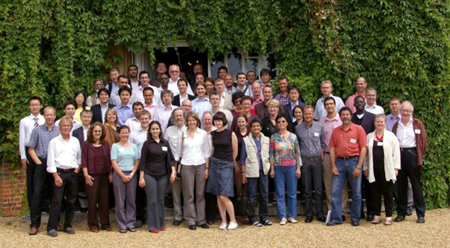 The 4th 2006 Windsor Conference was organised by NCEUB with the support from the EPSRC grant. 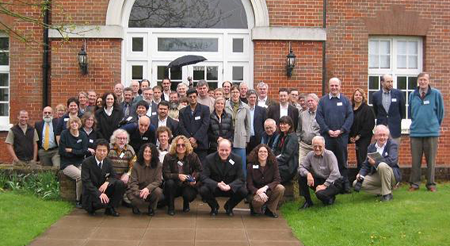 The conference entitled Comfort and energy use in buildings – getting them right was held at the Cumberland Lodge Conference Centre from 27th-30th April 2006 and attended by around 66 delegates, from 22 countries. A special issue of Energy and Buildings was published (Volume 39, no 7, July 2007), based on selected papers from the conference. The 5th Windsor Conference Air conditioning and the low carbon challenge was held on 27th-29th July 2008 at the Cumberland Lodge Conference Centre. Hosted by NCEUB and Sponsored by The Teaching in Architecture Network, EPBD Buildings Platform, INIVE and Air Infiltration and Ventilation Centre and LEARN, it was attended by around 77 delegates, representing 18 countries across 6 continents. The conference was part sponsored by the Commoncense project funded by the European Union through funding from Intelligent Energy Europe. A special issue of Building Research and Information Cooling in a low carbon world was published (Volume 37 (4) 2009), based on selected papers from the conference. 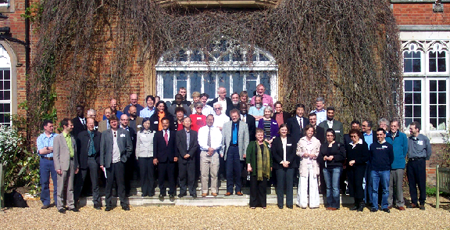 The 6th Windsor Conference was held on 9th-11th April 2010 and was attended by 88 delegates, representing 22 countries across 6 continents. The title of the conference was Adapting to Change – New Thinking on Comfort. The opening evening keynotes were by Ed Arens from the University of California, on ‘California Dreaming – Future directions for Thermal Comfort’ and Richard de Dear from the University of Sydney on ‘Thermal Comfort in Natural Ventilation – A Neurophysiological Hypothesis’. Both set the tone for a stimulating set of sessions. These started with a number of papers on International Comfort Standards, and included many papers on comfort in hot climates and sessions on Comfort, Energy and Buildings; Methodologies: Comfort, Productivity and Buildings and Mixed Mode Buildings. While the emphasis on comfort in buildings was growing there were also serious contributions on the fundamental Comfort Theories too. In a further evening talk Michael Humphreys Examined the adaptive relation between climate and thermal comfort indoors and it implications for both designers and researchers. A special issue of Building Research and Informationcalled Adaptive Comfort was published (Volume 39 (2) 2011), based on selected papers from the conference. The 7th Windsor Conference in 2012 was hosted by the NCEUB under the title The changing context of comfort in an unpredictable world from 12th-15th April. This meeting was the largest so far with more than 100 delegates from 19 countries, of whom about 80 stayed at the Lodge. In a departure from previous conferences there were four workshops which included short paper presentations followed by discussions on the topics of: Standards for the Indoor Environment, Designing Comfortable Buildings for the Future, Personal Control in Office Buildings and How to Make Low energy buildings that Really Work. These workshops were marked by lively debates on key issues of the day. Special issues of Architectural Science Review called The wicked problem of designing for comfort in a rapidly changing world (Volume 56 (1)) and Building Research and Information called Adaptive comfort were published (Volume 41 (3) 2013), both based on selected papers from the conference. The theme of the 8th Windsor Conference 2014 was on Counting the Cost of Comfort in a Changing World. 120 people from 22 countries attended the 8 sessions and 9 workshops of the conference which marked 20 years since the first conference in 1994. Several problems of, and challenges for, adaptive standards were addressed with some papers dealing directly with weaknesses in the current standards and in particular with the ranges of acceptable environments they allow. Others investigated the wider applicability of standards-based studies done largely in offices with adult populations. Some papers reported on comfort studies using different occupants and occupancy patterns in homes where people may have different motivations and access to adaptive opportunities. There were also studies in laboratories and mosques, where occupancy may be very different from day to day and variable within any day. Evidence was presented showing that schools need to be considered differently as the sensitivity of children appears to vary from that of adults. Studies in extreme climates such as the high Himalayas and the Arabian Desert suggested comfort limits that indeed seemed strange to people from more temperate climes. A paper from Australia explored the importance and effect of environmental motivations on indoor climates. Two groups of Australians, characterised as ‘thermal mavericks’, were studied, one in Melbourne and one in Darwin demonstrated a commitment to environmental concerns as evidenced by the greatly expanded comfort zone they occupied. The Melbourne cohort were comfortable at much lower temperatures than the ASHRAE adaptive model predicts as acceptable, while the Darwin cohort are comfortable at much higher temperatures. The control of indoor conditions in buildings is an enduring Windsor theme. How best can we use windows, fans and shading, for instance, to change indoor conditions? Should they be controlled according to an automated algorithm or left to the control of building occupants? How can appropriate simulation algorithms be developed to represent these stochastic factors in a realistic way? In the past a major concern centred around the development of a physiological model of comfort and the definition of its constituents like clothing insulation, metabolic heat and so on. One notable development at Windsor 2014 was the re-emergence of the physiologists. Their concerns lie more with the dynamic relationship between occupants in their buildings, reflecting emerging ‘whole system thinking’ within comfort theory. Change is increasingly recognised as natural in our relationship with our environment, stasis is not only expensive to achieve, but often runs counter to our best interests. Even for older people an unvarying environment is not just psychologically boring but may also be reducing the ability of the individual to physiologically cope with change. Much is said about avoiding overheating in buildings especially in the light of global warming, but the exact meaning of the term and the ways to characterise it are still ill-defined. CIBSE has produced a technical memorandum which presents an approach based on sound adaptive principles linked to the European standard EN15251. Evidence from simulations predicts that well designed buildings can stay comfortable as people adapt to new conditions. At the 2012 Windsor Conference we learnt that Australian ‘Mavericks’ will have a different definition of overheating from European office workers, school children or Tibetan householders. This leads to the question “Is temperature the best measure of thermal comfort?” and if not how to best account for climate, culture, ventilation strategy, and, yes, the cost of comfort (or should that be discomfort)? There was much to discuss at the 9th Windsor conference, building on the developing narratives explored in the 8th Conference. 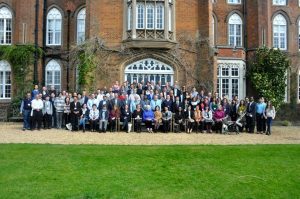 Around 100 papers were presented at Windsor 2014 and the full proceedings can be downloaded as individual papers or as a 1400 page proceedings e-Book (with ISBN) at: http://nceub.org.uk//W2014/webpage/W2014_index.html A range of papers developed from papers presented have appeared in subsequent issues of Building Research Information (Vol 43.3) and Architectural Science Review (Vol 58.1) and an article about the conference appeared in REHVA European HVAC Journal for June 2014 (Vol 51.4). The 9th Windsor Conference in 2016 was titled Making Comfort Relevant. Over 130 delegates from 22 countries took part and some 90 papers were presented, most of them in plenary sessions but many also in 9 themed workshops. The contents of two special journal issues were developed from some papers from the conference: Building Research and Information (Vol 45.7 – Rethinking Thermal Comfort) and Architectural Science Review (Vol 60.3 – Running Buildings on Natural Energy: Design Thinking for a Different Future). After a reception and dinner the conference began on the evening of Thursday 7th April 2016 with an after-dinner talk from Bjarne Olesen and Ken Parsons on the history of International comfort Standards. On Friday the 8th April the conference began in earnest with a first session entitled New Thinking and Hot Topics in comfort. The breadth of the conference topics can be judged from some of the Sessions titles: Comfort in Hotter Climates; Smart Comfort; Behaviour and Aging as well as workshops called: Putting People in Building Comfort Models; the Role of Clothing, Domestic Comfort and Teaching and Tools. In one workshop on the Use of Statistics two statisticians explained the method and the application of statistics to show the importance of using the correct methodology in the analysis of comfort data. In the Thermal Physiology and Comfort Workshop a group pf physiologists from Maastricht University confirmed the renewed place of physiology in the study of both thermal comfort and health. A highlight keynote was given by Elizabeth Shove from Lancaster University who talked in her usual challenging way about The Concept of Comfort in a Changing Climate on Friday night. To help delegates relax on Saturday night, Dennis Loveday and Sue Roaf organised a Clothing Quiz “Just Exactly How Cool are You?” challenging delegates knowledge of one cornerstone of the thermal comfort: the clo value. [i] Langdon, F.J., Humphreys, M.A. and Nicol, J.F. (eds.) (1973) Thermal comfort and moderate heat stress, Proceedings of CIB commission W45 (Human Requirements). London, Her Majesty’s Stationary Office. [iii] Humphreys, M.A. (1975). Field Studies of Thermal Comfort Applied and compared , Building Research Establishment current paper 75/76, BRE, Watford. [v] Nicol F., Humphreys M., Sykes O. & Roaf S (Eds) (1995): Standards for Thermal Comfort, E & F N Spon (Chapman & Hall).